The Retro is a balanced RIAA filter/gain stage for integrating vinyl into your balanced audio chain. Designed for MC cartridges, the Retro uses Texas Instruments OPA1632 fully-differential and OPA-1642 JFet-input op-amps, low-noise Dale RN55/CMF55 resistors, Wima and Dayton Audio MKP, and CD silver-mica capacitors. While Retro is designed for balanced wiring or your cartridge, it will also support standard single-ended input wiring (by tying -IN to GND), and still provide balanced output. 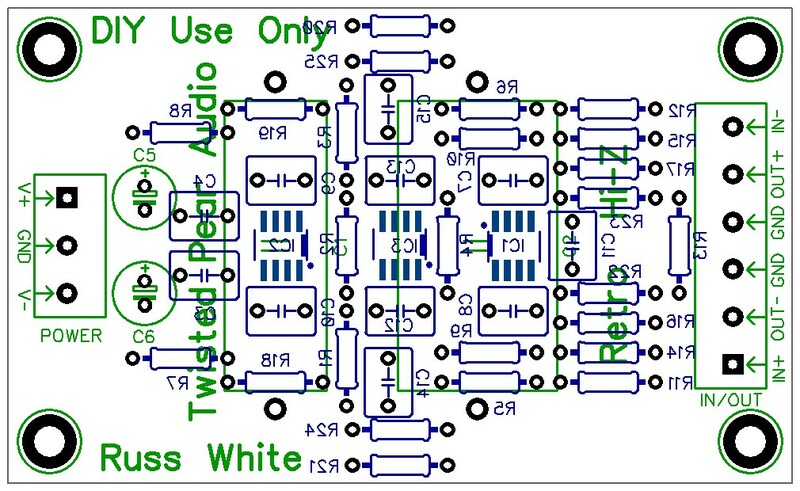 You can read more about the Retro module on DIYAudio. 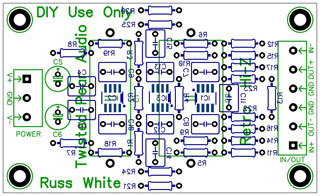 The Retro requires a 12-15V bipolar supply, such as our LCBPS or Placid BP.